First of all back down memory lane… at home we always had a tin of Nivea cream and I remember being a kid I could just go to the bathroom, open the tin and enjoy the smell! Then I like the simple, no-nonsense design of it… blue, white and a logo… it actually can be as simple as that. Perfect! Another plus is the price. So much product for so little money… isn’t that great ?! But then of course the multiple usages of the cream is why millions of people in the world buy this cream. I personally use Nivea on dry spots on my skin : my heels, elbows, legs. But in winter I sometimes use Nivea as a night cream to give my skin the extra hydration it lacks in winter. When I go jogging on cold days, I also put a thin layer on my face to protect it against the cold. I sometimes even use this cream as a mask. I put a thicker layer of the cream on my skin, I leave it on for a couple of minutes and then rinse it off with warm water. My skin then feels ever so soft! A tube or tin of Nivea should actually be on anyone’s bathroom shelf. Because let’s be honest… a product that celebrated it’s 100th birthday not so long ago, must be good! Do you like me already on Facebook? Here’s the link! 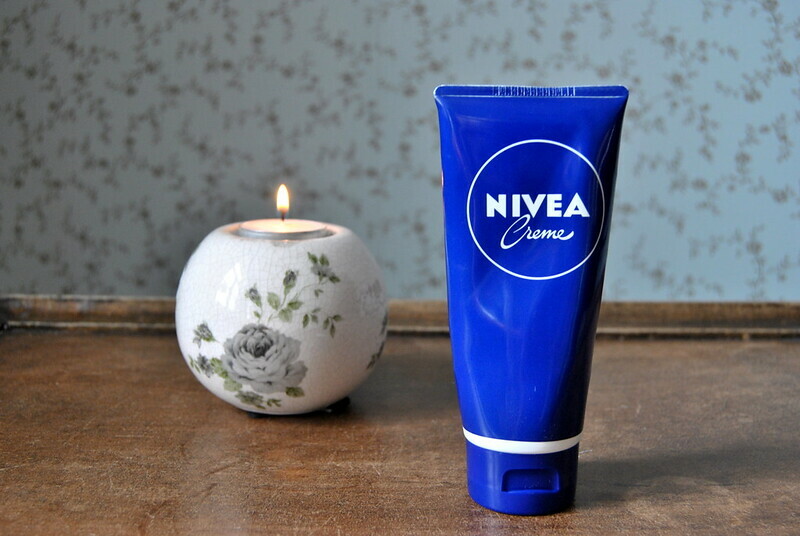 This entry was posted in Beauty, Skincare and tagged beauty, cream, nivea. I love Nivea products. They are amazing. That’s right! Simple but effective (and cheap! ).